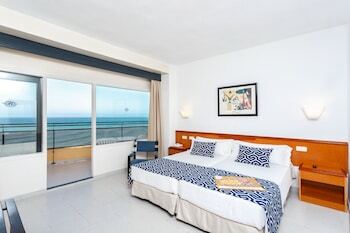 When you stay at Hotel Globales Gardenia in Fuengirola, you'll be near the beach, within a 10-minute walk of Torreblanca Beach and Carvajal Beach. Featured amenities include dry cleaning/laundry services, a 24-hour front desk, and multilingual staff. Self parking (subject to charges) is available onsite. When you stay at Rusticae Hospedería Bajo el Cejo in Alhama de Murcia, you'll be in a regional park and steps from Sierra Espuna. Free self parking is available onsite. Located in Yaiza, Villa Zabriz is within a 15-minute walk of Nuestra Senora del Carmen Square and Dorada Beach. Located in Playa del Ingles, HV Agaete Parque is near the beach, within a 5-minute walk of Kasbah Shopping Center and El Salvador Ecumenical Temple. The front desk is staffed during limited hours.